Are you feeling the energy tonight? Ye…ye…Hell yes! Woo, that’s hard to say. Especially when you’ve got no breath left. Sit down and watch the performance of a single song of this fine live encapsulation and you will see, it is epic, massive, huge, enormous…there are thousands of…big words that could be used here, and as you can see this writer is struggling to settle for the right one. Let’s see how many get racked up by the end. 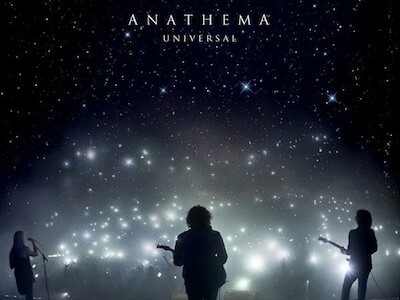 Anathema are a band who truly care about the whole deal. Not just the music, the magnitude of the set and the obvious mountain of graft it takes to make it happen, but in the end, the people who come down to see it. The fans, who matter more than anything. It’s clear why their audiences are so consistently colossal (another one! 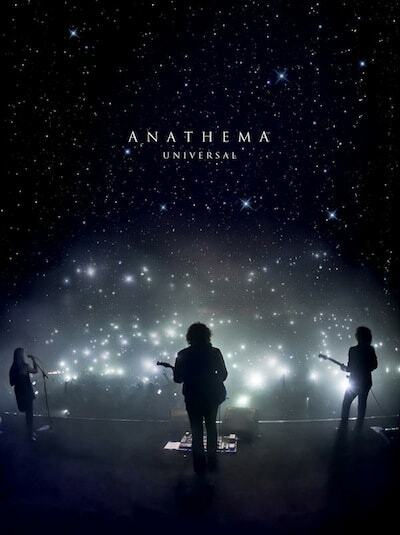 ), because Anathema show the crowd the same degree of respect as the crowd have for the band, and the result of that is something quite extraordinary. Vincent Cavanagh’s energy and enthusiasm is inspiring, and there’s no surprise where he gets it from, looking into the sea of buzzed fans feeding off the euphoria of the show. The camera work is excellent, during songs such as ‘Dreaming Light’ it swoops across the stage, cutting from musician to musician, occasionally showing the audience, while the epic moments of the song are followed by sweeping cheers across the audience. Then, the talented vocalist announces Lee Douglas, who picks up the co-lead vocals on ‘Lightning Song’ as well as the backing vocals for many other tracks such as ‘Untouchable’ (part 1 and 2) and the two of them together are unstoppable, conjuring some serious harmony. And when Cavanagh claims ‘We brought a few friends with us tonight!’ he’s not just talking about Douglas. The orchestra behind the band bring the gargantuan (hehe) scope of the music to light. It’s a pleasing picture to look at, colours steaming left right and centre, smoke injected with green flame as ‘A Simple Mistake’ lulls the audience into musical fusion. The breakdown in this song is a highlight indeed, where things start to get sinister. The camera cuts to the well placed shot of the audience collectively head banging, and then the harmony of cellos and violins bring it to breaking point before the vocalist takes the mic again. Still, we’re amazed at the quality of this thing, watching this on a big HD TV is a must, with a bit of surround sound…ahh! It’s almost like being there. And this is something to be cherished. This is the epitome of music. This is a genuine band going all out on a methodical set list for the pure breath-taking entertainment of it. Wanna see this band? Well, maybe you should stay from this, because this will make you determined to experience the real deal. But for anyone who’s just looking for a blast of a show, give this a go, it’s a damn good DVD, and a hell of an introduction to a terrific band!